DP Rail a London headquartered rail organisation with a background across all aspects of railway and railway infrastructure from project finance to operation. Has secured an MoU to deliver a new 240 km railway between Dhaka and Payra in Bangladesh. The firm has been given exclusive rights to design, finance, build and operate a new railway. China Railway Construction Corporation (CRCC) has been chosen as principal contractor for the line which is set to be operational in 2024. 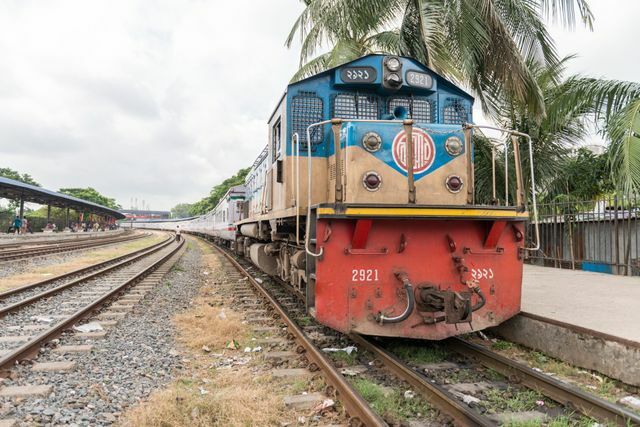 The Government of Bangladesh and Bangladesh Railway have signed a Memorandum of Understanding (MoU) with the British company DP Rail to deliver a new 240 km railway between Dhaka and Payra. The agreement gives DP Rail the exclusive right to design, finance, build and operate a new railway between Dhaka and the Payra Seat Port. China Railway Construction Corporation (CRCC) has been chosen as the project’s principal civil engineering contractor. DP Rail said it expects rail freight services from the port to start in 2024. In its first year, the line is predicted to transport two million twenty-foot equivalent units (TEU), increasing to around four million TEU by 2030.